Photo courtesy of U. S. Department of Energy. On Jan. 6, the U.S. Environmental Protection Agency published an Advance Notice of Proposed Rulemaking identifying three new industry sectors for which it will begin developing regulations to require financial assurance under Section 108(b) of the Comprehensive Environmental Response, Compensation and Liability Act (CERCLA). When this proposal is finalized, it could have a significant financial impact on chemical, petroleum and coal, and electric power facilities that do not already provide financial assurance under a hazardous waste permit or an enforcement order. Financial assurance demonstrates that adequate funds will be available to undertake the necessary cleanup or closure of a facility. These requirements compel facility operators to fund future environmental obligations in the event that the operator cannot (or will not) pay for the activity on its own, such as in the case of a bankruptcy. Financial assurance can be demonstrated through a number of mechanisms, including trust funds, surety bonds, letters of credit, insurance, a financial test, or corporate guarantee. The government regulatory agency typically is the beneficiary of the financial assurance instrument. Currently, financial assurance regulations for certain types of facilities are in place under the Resource Conservation and Recovery Act (RCRA). These regulations apply to owners and operators of hazardous waste treatment, storage and disposal, known as TSD, facilities, and require the owner or operator to submit a written estimate of the costs of closure of the facility (including the cost of any corrective action—such as a cleanup) as well as post-closure monitoring and maintenance costs, along with a demonstration that the owner or operator will have sufficient funds to cover these costs. Financial assurance also is required under mining operations rules, various other activities on federal lands, and underground or aboveground storage tanks. 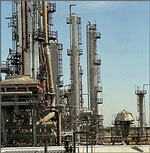 It generally is required in enforcement orders issued under both RCRA and CERCLA. There has been a perceived gap, however, in financial assurance requirements for those operating facilities that are not permitted under RCRA, but that handle "hazardous substances" (a broader category of materials than those addressed under RCRA's TSD regulations). In fact, by statute, EPA was to promulgate regulations requiring financial assurance for operating facilities handling "hazardous substances" in 1985. In spite of this requirement, the agency never promulgated regulations requiring such financial assurance. Currently, operating facilities are not required to have financial assurance unless they have RCRA TSD permits, are subject to enforcement orders, or are subject to some other regulatory scheme. Environmental groups have long been calling for EPA to issue these regulations, and on February 25, 2009, in Sierra Club v. Johnson No. C 08-01409 (WHA) (N.D. Cal. 2009), the plaintiffs asserted that EPA has a nondiscretionary duty under CERCLA to publish a notice that identifies classes of facilities, owners, and operators for which financial assurance requirements will first be developed under CERCLA § 108(b). The district court agreed, ruling that the EPA must identify and publish notice of classes as specified in CERCLA § 108(b)(1) by May 4, 2009. At the agency's request, the district court later extended that deadline to July 10, 2009. On July 10, EPA identified classes of facilities within the hardrock mining industry as those for which it would first develop financial responsibility requirements. For purposes of that notice, hardrock mining facilities include those that "extract, beneficiate or process metals (for example, copper, gold, iron, lead, magnesium, molybdenum, silver, uranium, and zinc) and non-metallic, non-fuel minerals (asbestos, gypsum, phosphate rock and sulfur)." Electric Power Generation, Transmission, and Distribution (NAICS 2211). corporate structures and bankruptcy potential. The agency also considered whether financial assurance requirements under CERCLA § 108(b) would effectively relieve these risks. The following classes of facilities require further study: waste management and remediation services, wood product manufacturing, fabricated metal product manufacturing, electronics and electrical equipment manufacturing, and facilities engaged in the recycling of materials containing CERCLA hazardous substances. EPA is accepting public comment until Feb. 5 on whether it should develop a proposed financial assurance regulation under CERCLA § 108(b) for any class or classes of facilities, or for the industry as a whole, including information demonstrating why such financial responsibility requirements would not be appropriate for those particular classes. The agency also is seeking data to help inform its regulatory decision-making. Any financial assurance regulations that ultimately are developed as a result of the EPA's analysis will be proposed for additional public comment. This process is anticipated to be complex and the development of financial assurance regulations will take quite some time.